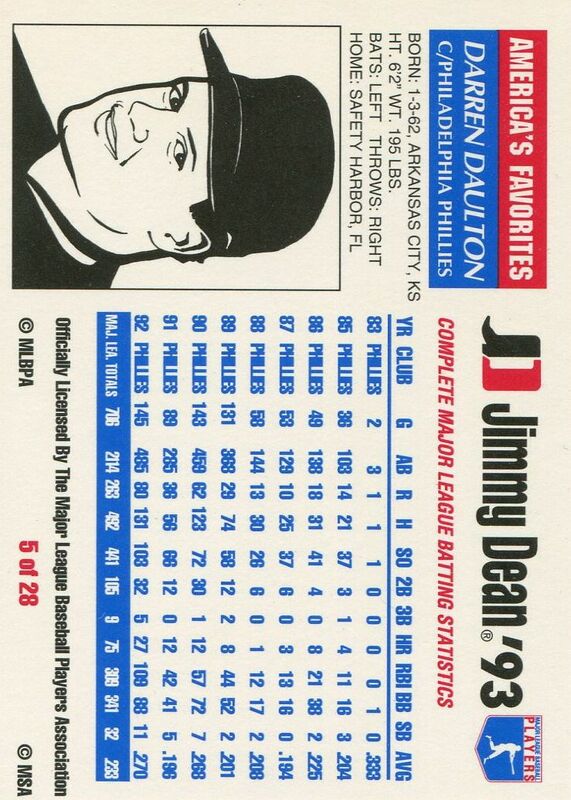 Additional Information/14,000 Phillies Commentary: Inserted in packages of Jimmy Dean sausage products. 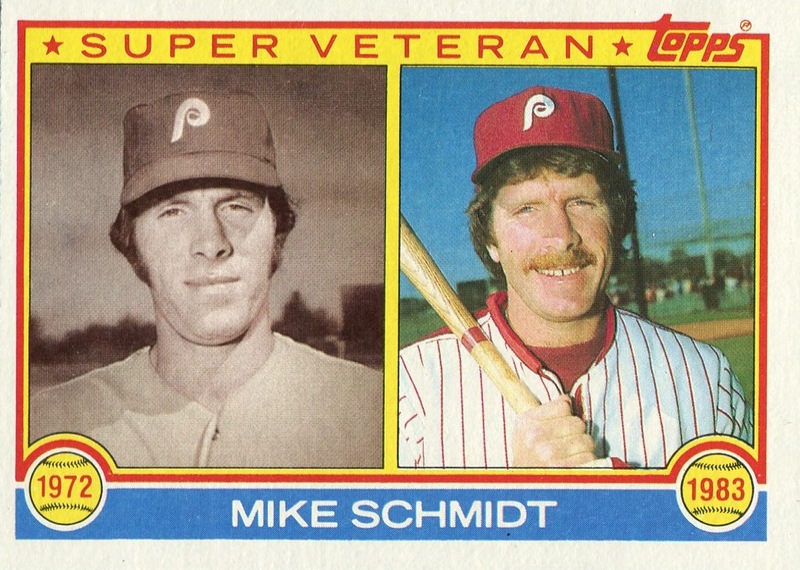 Looking back, it’s amazing just how long Michael Schecter Associates (MSA) produced MLBPA-only licensed cards for various regional and national companies and retail chains. 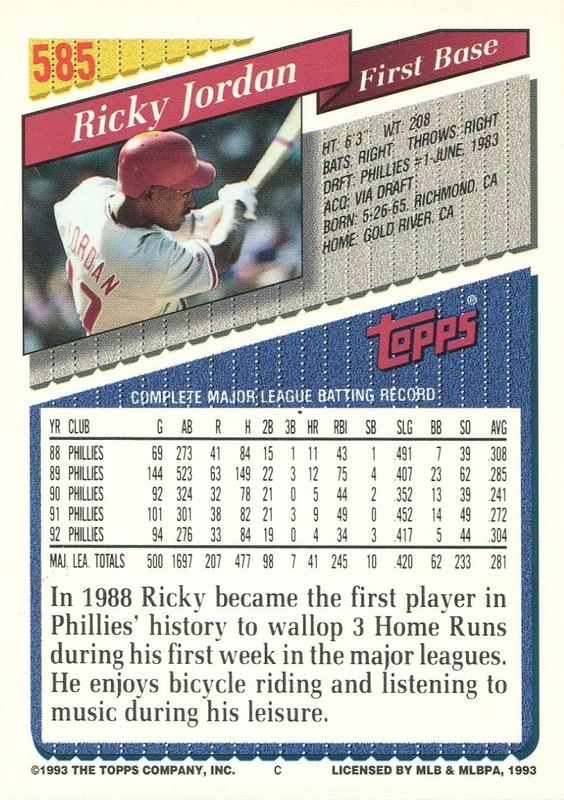 MSA started doing this in the mid ’70s and continued to do so for nearly 20 years. 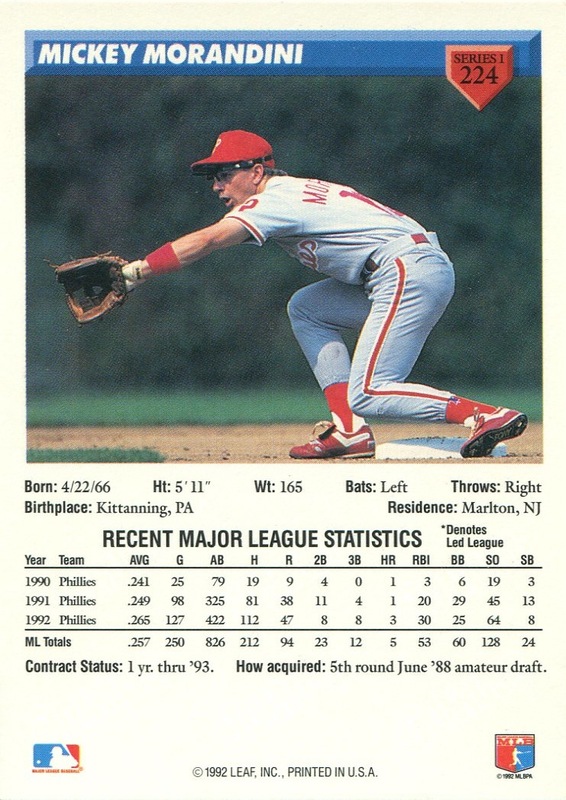 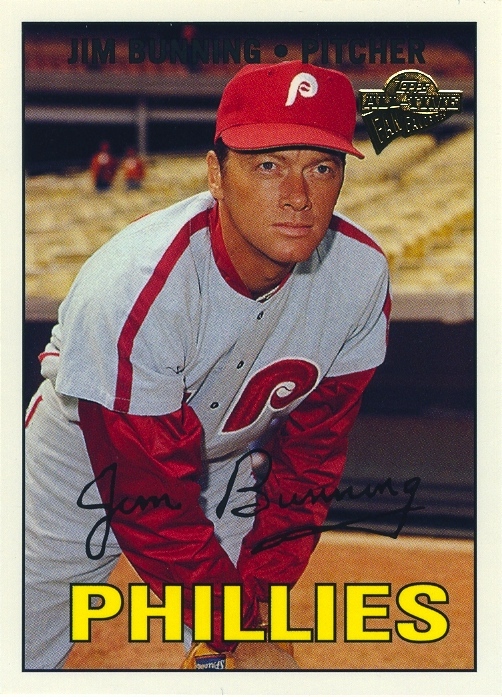 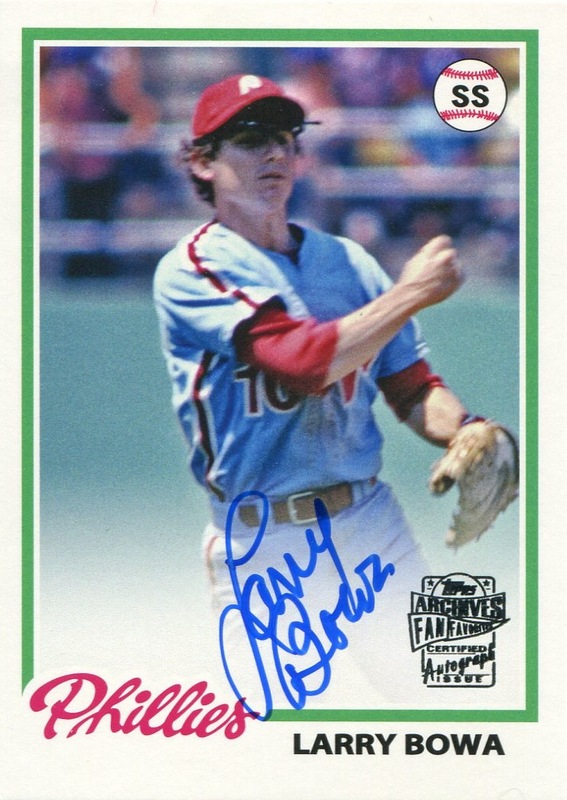 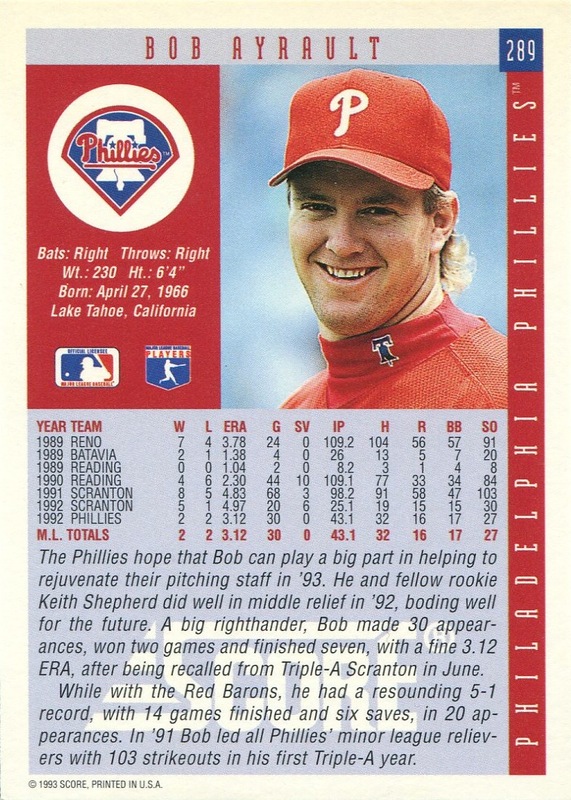 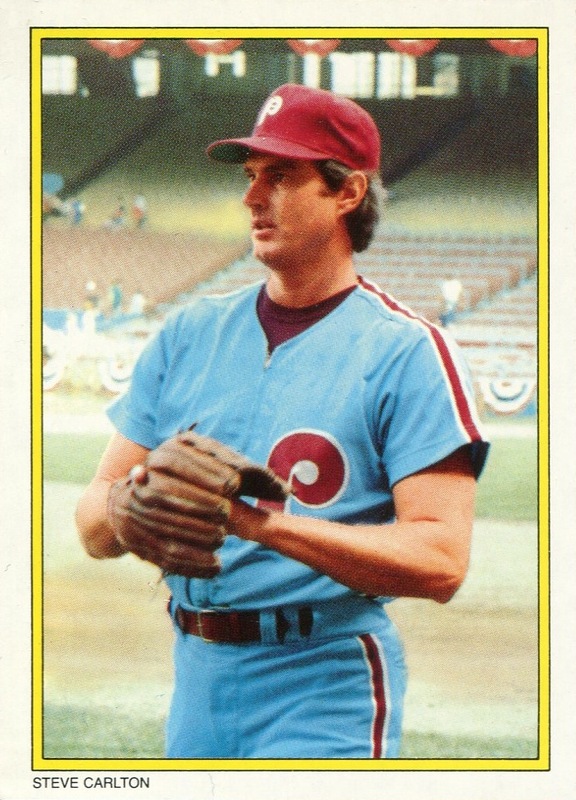 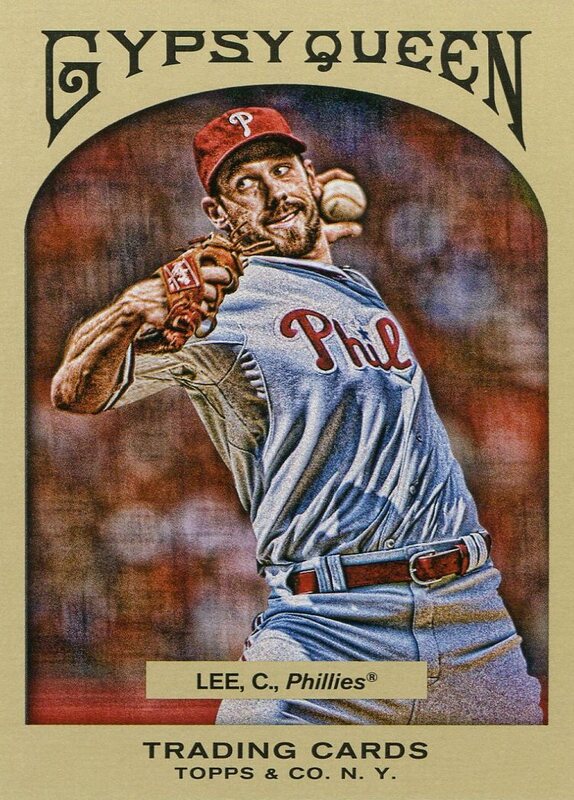 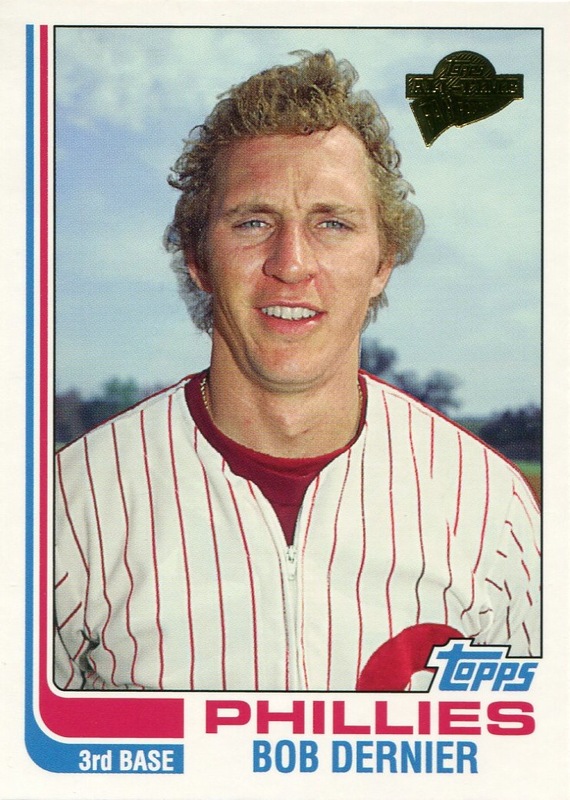 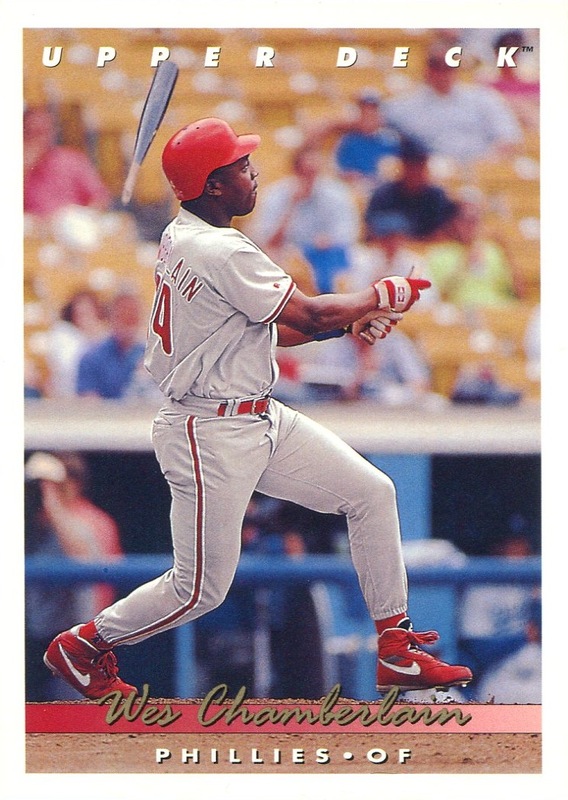 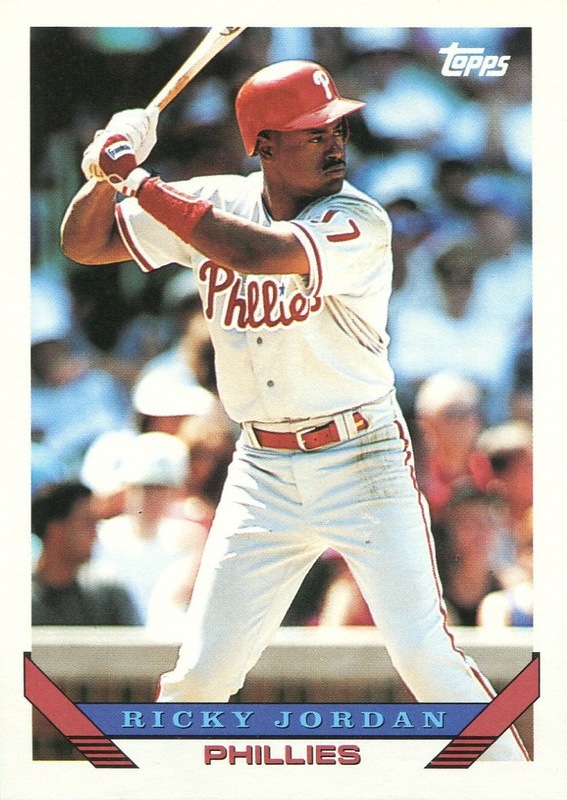 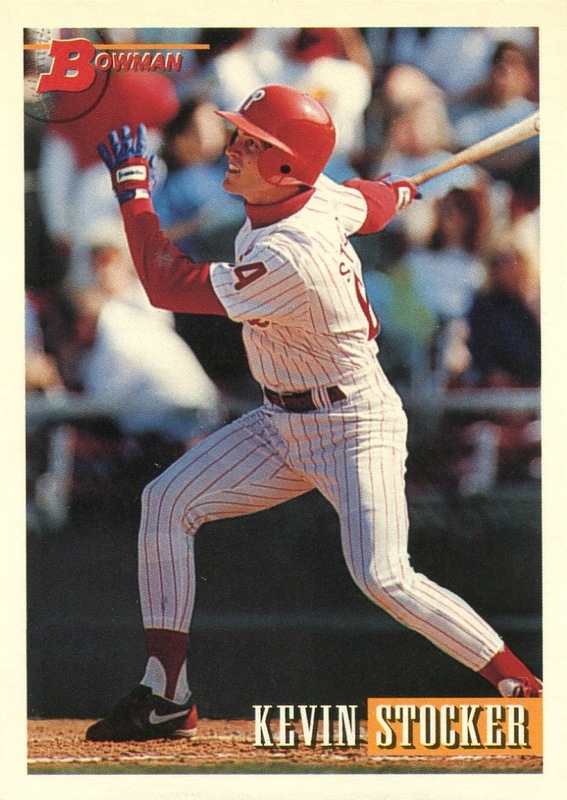 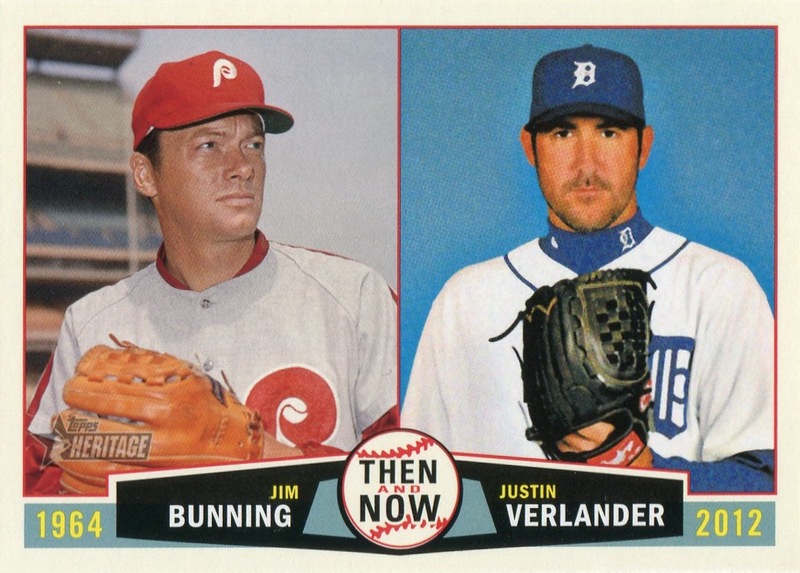 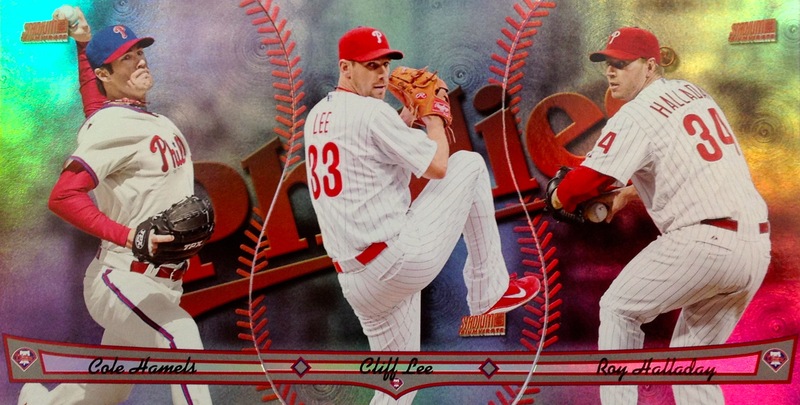 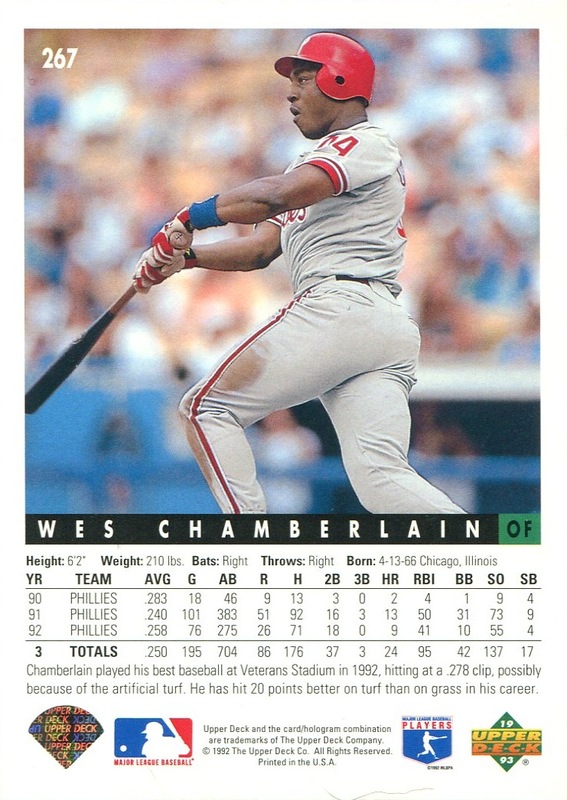 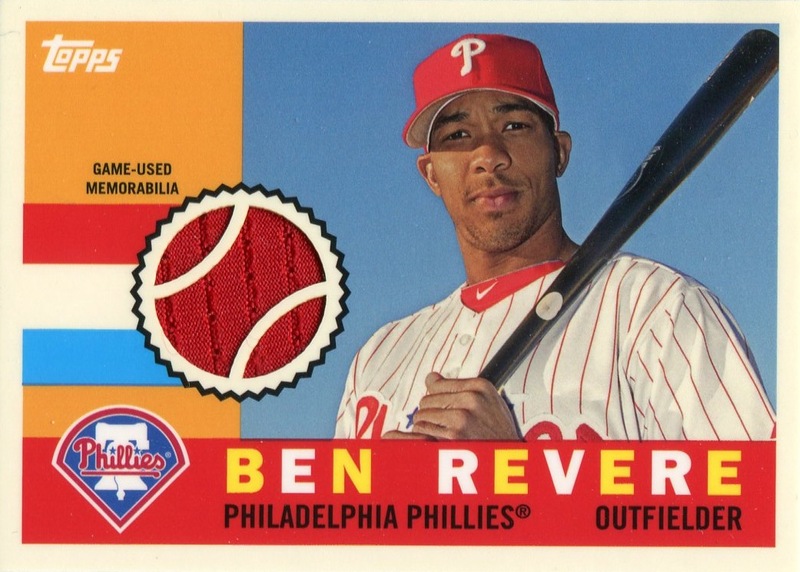 I would say that the quality of their product improved over time, but it’s hard to completely support such a statement when you look at the line drawing on the back of the card — very reminiscent of the line art on the 1986 Keller’s Butter Phillies set. 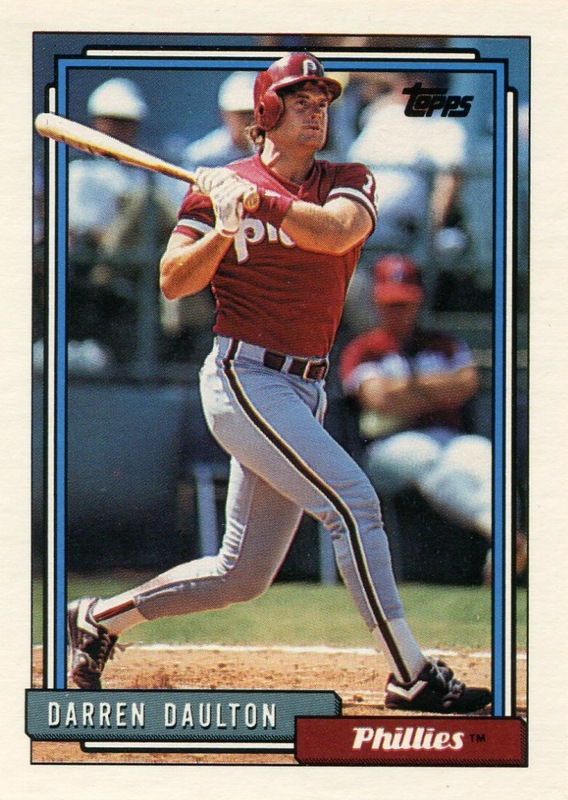 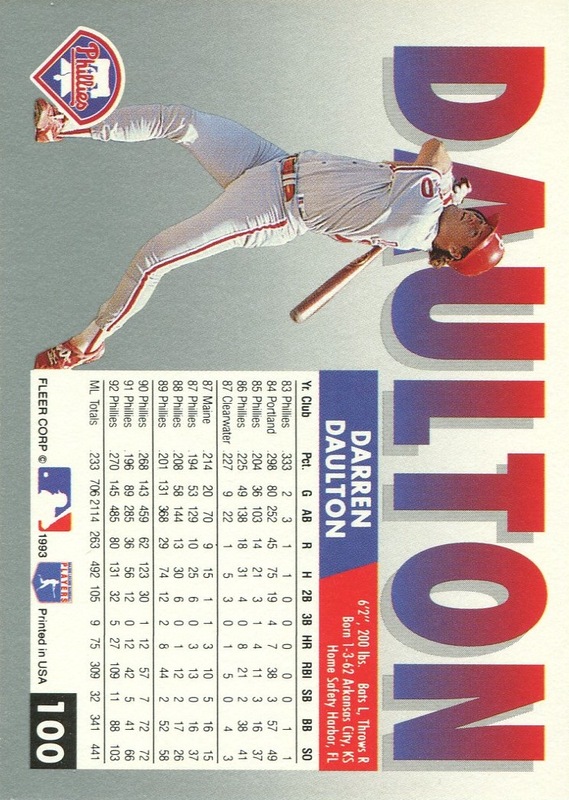 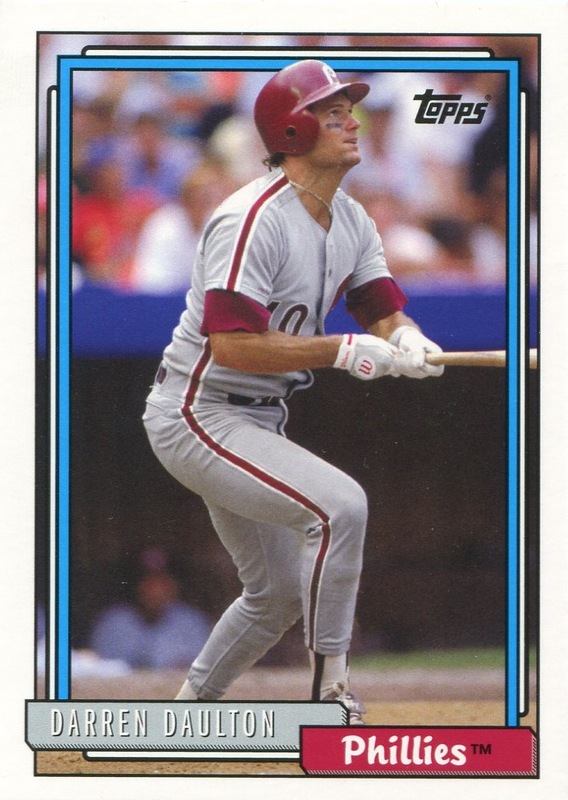 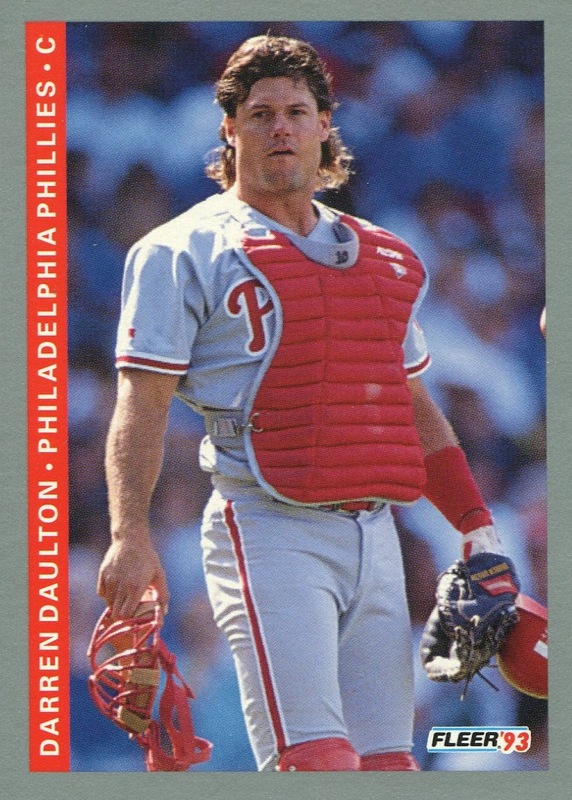 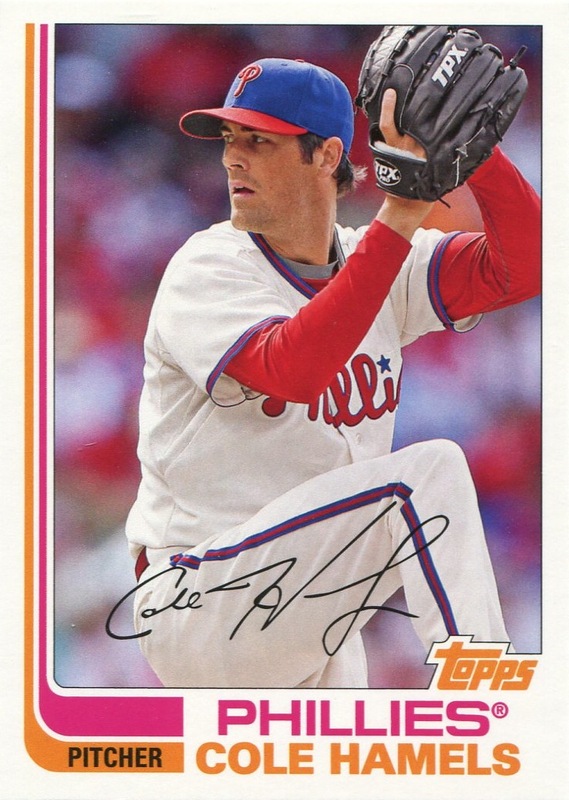 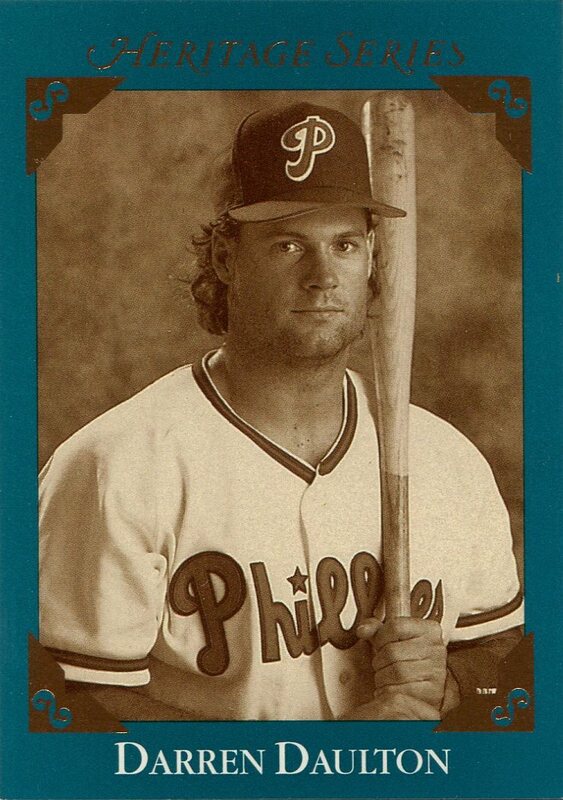 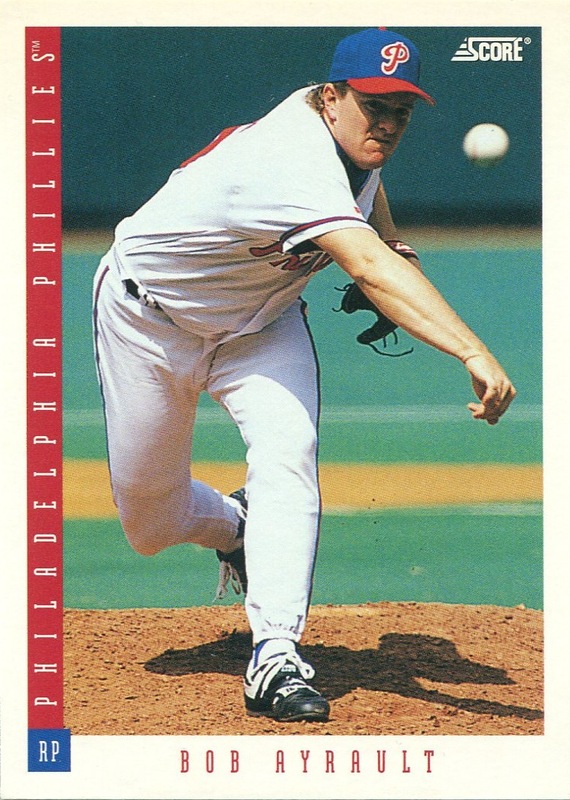 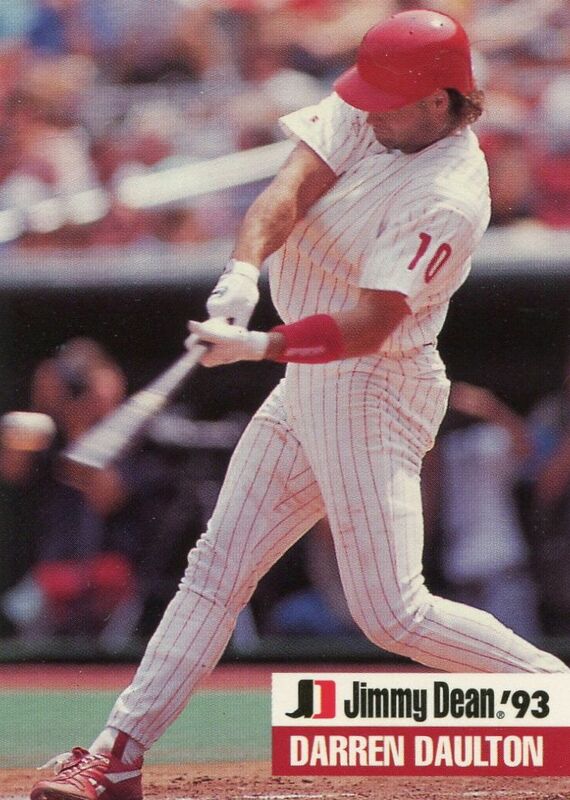 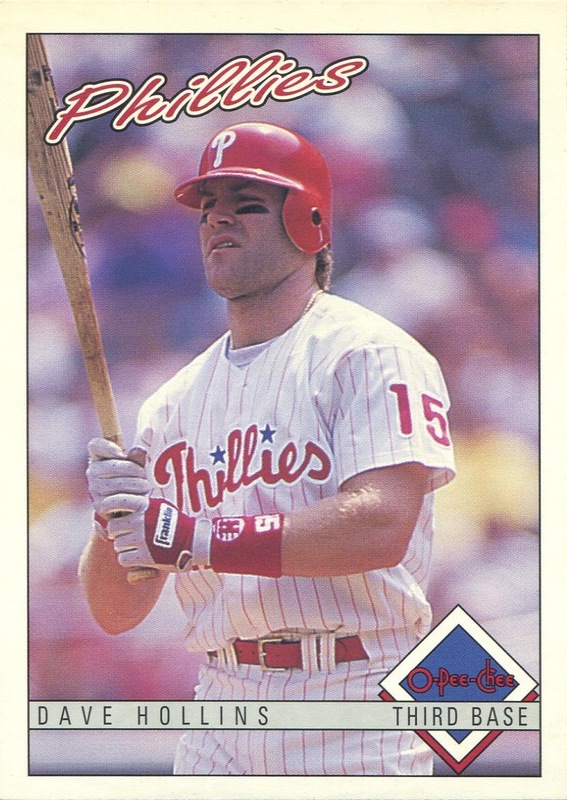 Airbrushed photos such as the one on Daulton’s card are how I envision what most of Upper Deck’s cards will look like now that they have an MLBPA license. 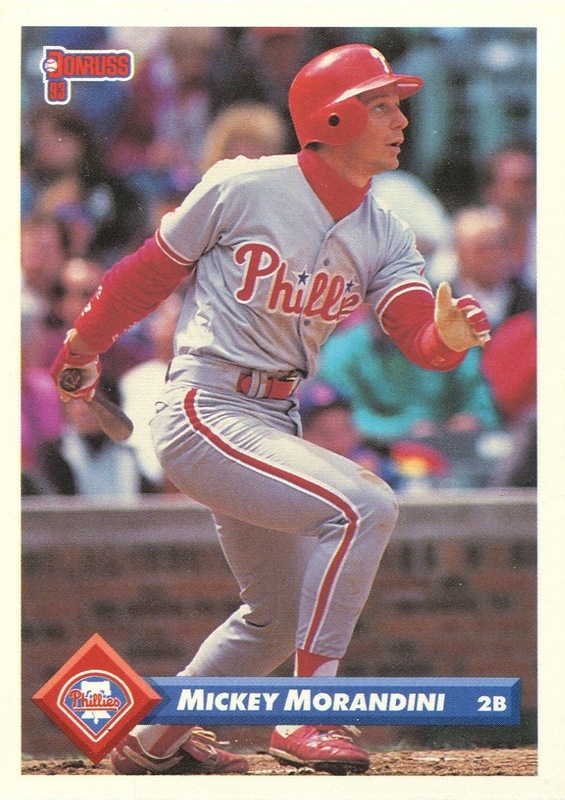 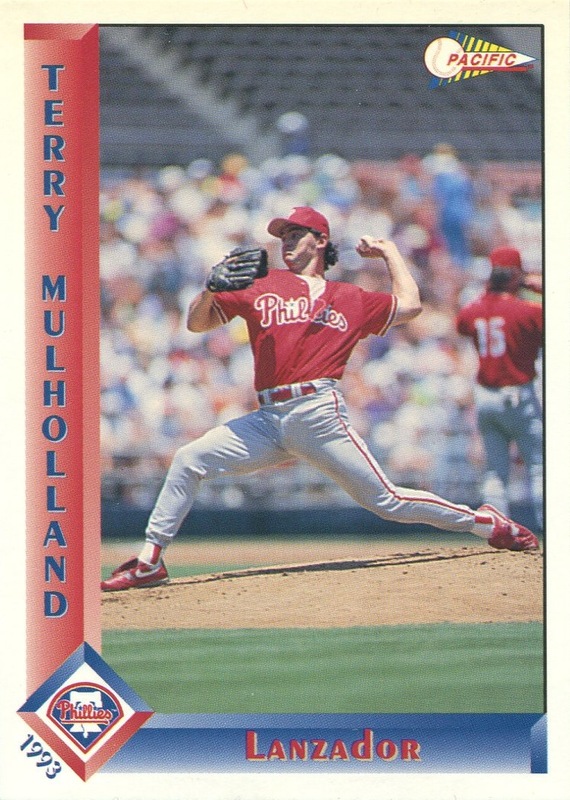 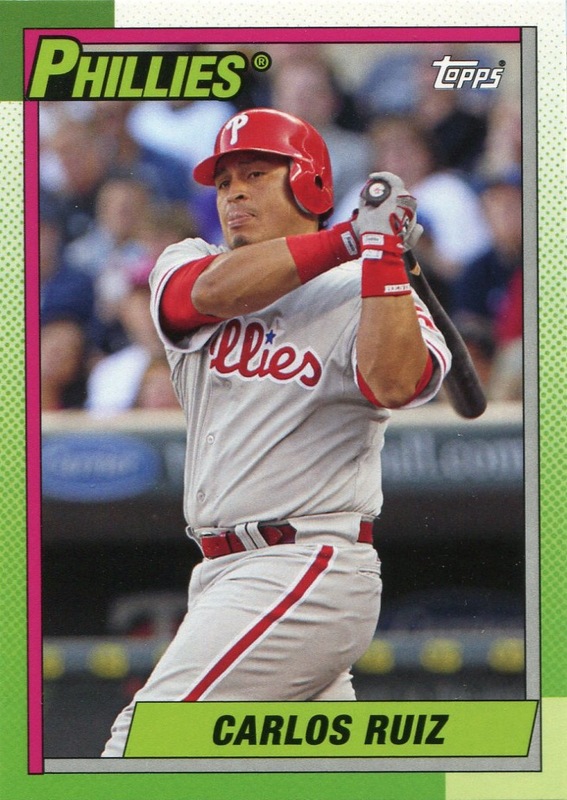 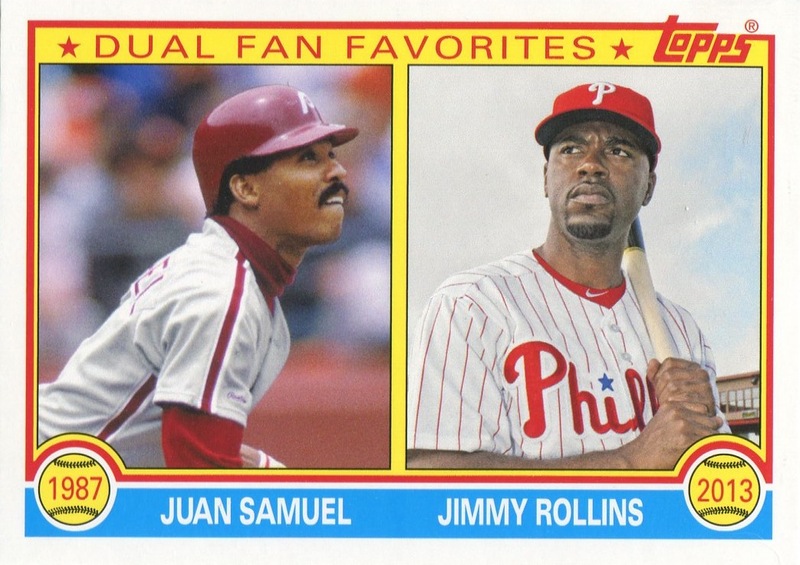 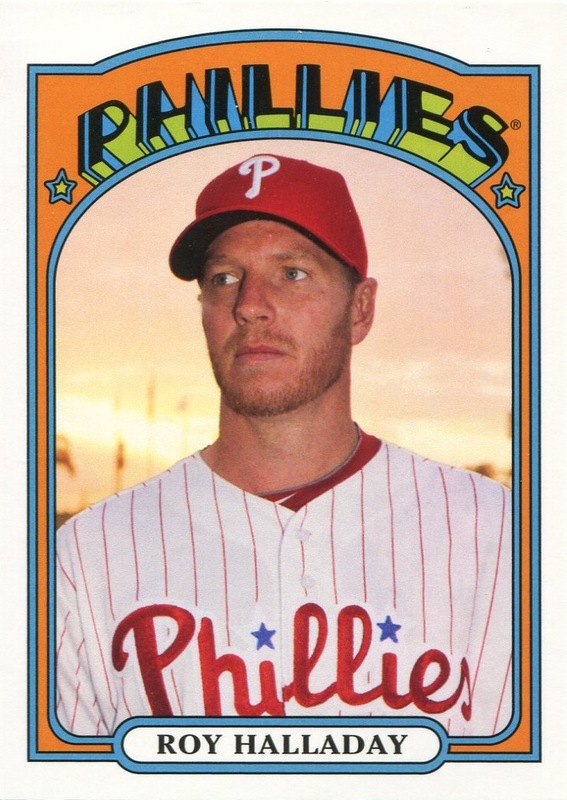 I just don’t see them posing players in plain, white jerseys the way Panini does for its MLBPA-approved sets.